Adventure Consultants, formerly Hall and Ball Adventure Consultants, is the name of an adventure company founded by Rob Hall and Gary Ball in 1991, noted for pioneering the commercialisation of Mount Everest and for the 1996 climb of Mount Everest in which several people died. The New Zealand company would take trekking and climbing groups to various sites, including Mount Everest, for a fee. After the deaths of both Gary Ball and Rob Hall, the company was purchased by Guy Cotter who continued the business. Prior to starting Adventure Consultants, Hall and Ball achieved celebrity status in New Zealand after completing the Seven Summits in a seven-month time-frame, under the scrutiny of the New Zealand media. Hall and Ball's friendship was noted in the mountaineering world, having undertaken 47 expeditions together. Gary Ball and Rob Hall founded Adventure Consultants in 1991, based out of New Zealand. They were famous New Zealand climbers that got attention for offering commercial trips to Mount Everest's summit. However, Gary died in 1993, and Hall in 1996, leaving the company to Guy Cotter. By the time of Rob's death, Rob had led 39 people to the summit of Mount Everest. Rob Hall's friend and climbing partner Gary Ball died in his arms on 8,167m Dhaulagiri in October 1993. Ball had come down with a case of high-altitude pulmonary edema (HAPE) at six and a half kilometres altitude. Despite this loss, Hall went on to lead a highly successful expedition to Mount Everest in 1994 with Ed Viesturs. This was Hall's fourth summit of Everest. In 1995 Hall's expedition had to turn back because of bad weather as they neared the summit. In May 1996 Hall and a group of climbers made it to the summit of Mount Everest, but he and several other members of his party died on the way down. This event had a noted impact on media, appearing in various books and films. 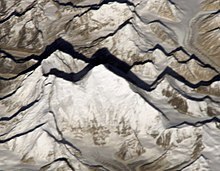 The disaster became very well known, with ten million people reading about it in the book "Into Thin Air," written by Jon Krakauer (who was actually on the expedition) and hearing it referenced in a highly acclaimed IMAX film, shot during the same disastrous climbing season, although the filmmakers summitted later in the season. Despite the disaster in the spring 1996 and the death of Rob Hall, the company already had clients for a Cho Oyu expedition. Rather than cancel, Guy Cotter took over and successfully led the Cho Oyu expedition in the fall of 1996. The company guided a climb on the Matterhorn. Another peak they have offered guided climbs on is Carstensz Pyramid. The pyramid has noted difficulties that have to be navigated when getting to the mountain. One route is through jungle, although some have tried to go through a nearby mine only to be taken prisoner, caged in a metal box, and escaping only after paying a bribe. By 2013 the company had led 19 expeditions to Mount Everest. 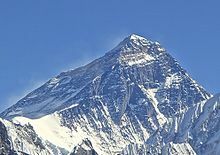 Cotter suggested an "Everest ID" for each climber at this time, basically like a snow-pass for Mount Everest. 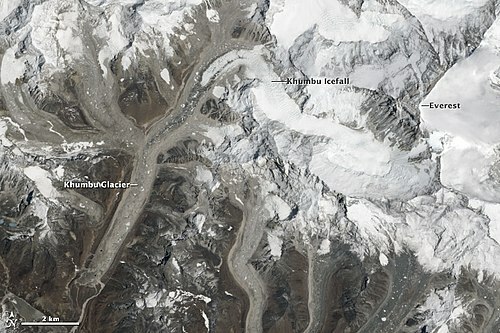 Adventure Consultants was contacted for information about hurt climbers during the 2015 Mount Everest avalanche, and they reported that people had been evacuated, including one Sherpa who was sent to Kathmandu Medical College. In the aftermath of the avalanche, Adventure Consultants worked to collect and donate to the victims of the disaster. Adventure Consultants experienced a great tragedy in the 2015 Avalanche, in which six Nepali employees died and another nine injured. In response the company coordinated aid to both its employees and other aid organisations in Nepal (because of widespread damage from the 2015 Nepal earthquake). Jangbu Sherpa— died of injuries night of 1 to 2 May 2015 at a Hospital in Kathmandu. The AC team attended his funeral days later noting, "..he will be greatly missed." One of the charities Adventure Consultants set up was the Adventure Consultants Sherpa Future Fund, which helps provide education and other benefits to the children of those killed. ^ a b c d e f Don't Step on the Rope! : Reflections on Leadership, Relationships and Teamwork By Walter C. Wright Page 115-116. ^ Matzer, Marla (28 March 1998). "'Everest' Lifts Imax to Dramatic New Peaks". Los Angeles Times. Retrieved 20 November 2014. ^ Jeffries, Jane (12 July 2015). "Facing up to the deadly Matterhorn". The New Zealand Herald. Retrieved 19 July 2015. ^ a b c Human Edge Tech, Explorersweb Inc. "Adventure Consultants Everest 2015 – Dispatches – By CONTACT5.0". Retrieved 6 May 2015. This page was last edited on 16 May 2018, at 10:41 (UTC).